The First Avenger: Captain America leads the fight for freedom in the action-packed blockbuster starring Chris Evans as the ultimate weapon against evil! When a terrifying force threatens everyone across the globe, the world’s greatest soldier wages war on the evil HYDRA organization, led by the villainous Red Skull (Hugo Weaving,The Matrix). Critics and audiences alike salute Captain America: The First Avenger as “the best superhero movie of the year" (Box Office Magazine). The Winter Soldier:When S.H.I.E.L.D. 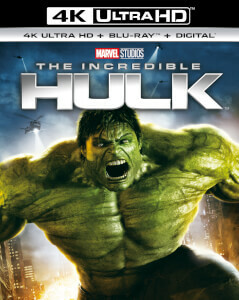 is attacked, Captain America (Chris Evans) becomes embroiled in a web of intrigue that threatens the future of mankind. As the conspiracy deepens and trust is destroyed, Cap, Black Widow (Scarlett Johansson) and the Falcon (Anthony Mackie) must join forces to battle their insidious enemy’s most mysterious and powerful weapon yet – the Winter Soldier. Civil War:An explosive rift rocks the Marvel Cinematic Universe in the game-changing epic, Captain America: Civil War. 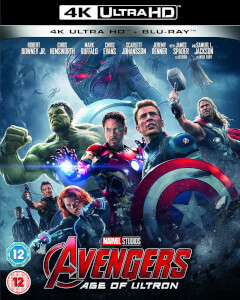 When government pressure to rein in the Avengers drives a deep wedge between Captain America (Chris Evans) and Iron Man (Robert Downey Jr.), best friends are turned into bitter enemies. 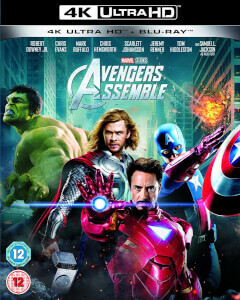 Against a backdrop of divided loyalties, mysterious villains and new allies, the ultimate battle for the future of the Avengers and all humanity erupts in this spectacular adventure! On Set with Anthony Mackie: Cut the Check! 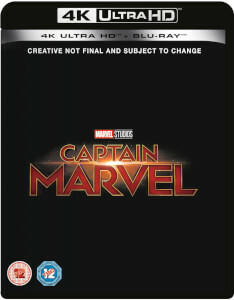 Get any 2 Marvel 4K for only £30! Simply add both items to your basket for the discount to apply.